M Making dance as explosive as it can ever be since 1970’s. POP. 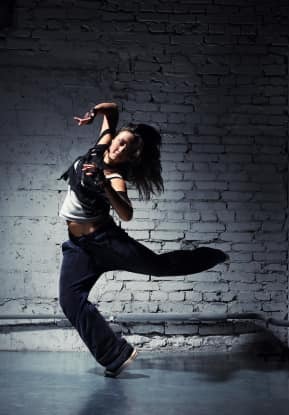 Defining the flow of energy through the body, depicting the concentration of enthusiasm in a dancer in a single moment and adding all the possible explosions to the field of dance is only a very small part of what popping has brought along with it. 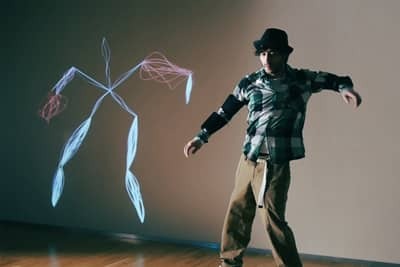 While being the result of a single person’s spirit to bring something new into the world of dance, popping has become so much more than what it originally started off with in a very short time. The best way to describe the movement of popping would be to imagine a force of energy going through the body causing it to move like a wave. Popping can be concentrated to specific body parts, creating variants such as arm pops, leg pops, chest pops and neck pops. They also can vary in explosiveness. Stronger pops normally involve popping both the lower and upper body simultaneously. This style is difficult to manage at the technical level as it requiring command of isolations, a perfect knowledge of the body, and a good sense of the rhythm with major use of counter-tempo. Poses in popping make heavy use of angles, mime style movements and sometimes facial expressions. 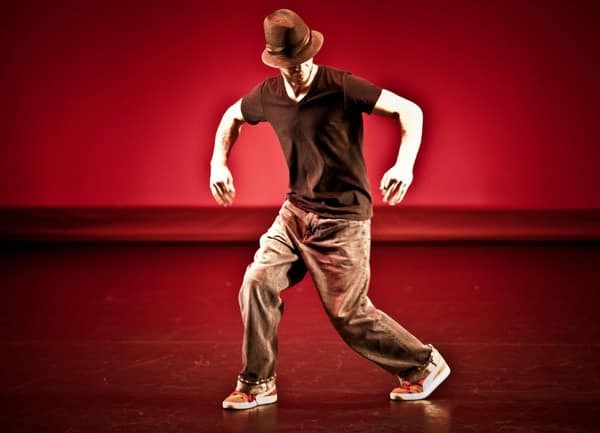 The lower body has many ways to move around from basic walking and stepping to the more complex and gravity defying styles of floating and electric boogaloo. Movements and techniques used in popping are generally focused on sharp contrasts and extremes, being either robotic and rigid or very loose and flowing. As opposed to breaking and its floor-oriented moves, popping is almost always performed standing up, except in rare cases when the dancer goes down on the knees or to the floor to perform a special move. Popping is an innovative style of hip-hop or funk dancing. Poppers achieve the dance style’s jerky or twitchy movements by continuously and rhythmically tensing and then relaxing muscles in the arms and legs. These jerks or twitches are called hits, ticks, and pops. These moves give the dance a robotic or cartoon-ish appearance. Popping can be combined with other styles of dance to make unique and entertaining performances, but is distinct from break-dancing, with which it is often confused. Fast forward, ticking and slow motion involve variations in the speed of dancing. Strobing recreates the visual effects of a strobe light upon the dancer. Liquid movements create the illusion that the body is made of liquid while puppet is meant to imitate a marionette. 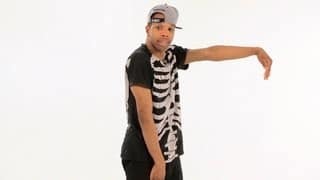 These are just some of the countless styles and movements that encompass popping, and poppers may combine a number of styles and moves while dancing. Popping has become an umbrella term for a group of closely related styles and techniques that have often been combined or danced together with popping, some of which are seldom seen outside of popping contexts. However, the use of popping as an umbrella term has been criticized on the grounds that its many related styles must be clearly separated so that those who specialize in more specific styles aren't classified as poppers (ex: a waver, a tutter, a strober). The secret to the move is in the neck. And it isolates your head. So it has this illusion that you can dislocate your body or isolate your head. Off the bat, it’s really important to keep the levels of your shoulders even. When you’re doing the head isolation, you do not want to have them crooked. This is another rule that we strongly suggest you do slow, and then work up your way to doing it fast. So in real slow motion, practice the circular movement. It doesn't matter which arm you start with. Just remember to keep it relaxed and loose. If you're too tense, then you won't be able to pop; you can think of "popping" as a releasing some of that tension. Don't lock your elbow -- keep it relaxed. Make sure to keep your hand flat and your chest high, with your neck loose.Bend down the wrist of that arm. Try to do this without moving the rest of your arm or body. Keep facing forward; resist the temptation to look at the moving hand. Now, raise your elbow until it's even with your shoulder, and raise your hand so it's back to being flat again, nearly parallel to the floor. The idea of popping is to pop one part of your body at a time while the rest of your body remains stationary. When you pop with your arm like this, the popping action runs from your hand up to your shoulder. So once your wrist is 90-degrees, you raise your elbow with the same idea, popping it up toward the air, while bringing your hand back to its original position -- flat, while your chest is high. Now, bring your elbow down until your arm is nearly straight and parallel to the floor. The wave of energy has run fully from your hand, through your elbow, and is making its way up to your shoulder. That's why it's important to slip your arm back to its original position. Keep your hips centered, your head and neck nice and tall, and your look focused in the center as you do this. 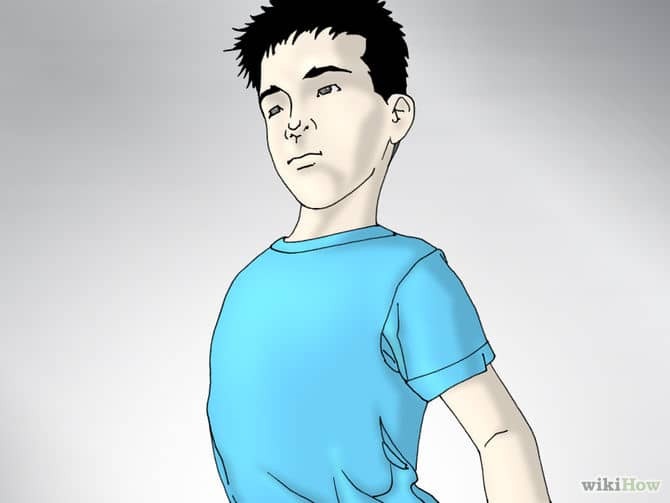 To pop your chest, stand with an exaggerated stance, with your feet about half a foot out each past your shoulders, with a good bend in both knees. Stay bouncy with your legs, bend down slightly, and then isolate your ribs, coming forward and up with your chest, and then dropping back down, with a slight hunch. You should not use your shoulders or roll them during this process, which is a common mistake. Repeat this motion, keeping those feet bouncy, bending down slightly, and then popping your chest up. Think of it as doing a "chest bump" with the air. It's a similar gesture, putting everything into the chest while developing just a slight bounce and upward motion in the arms and elbow. 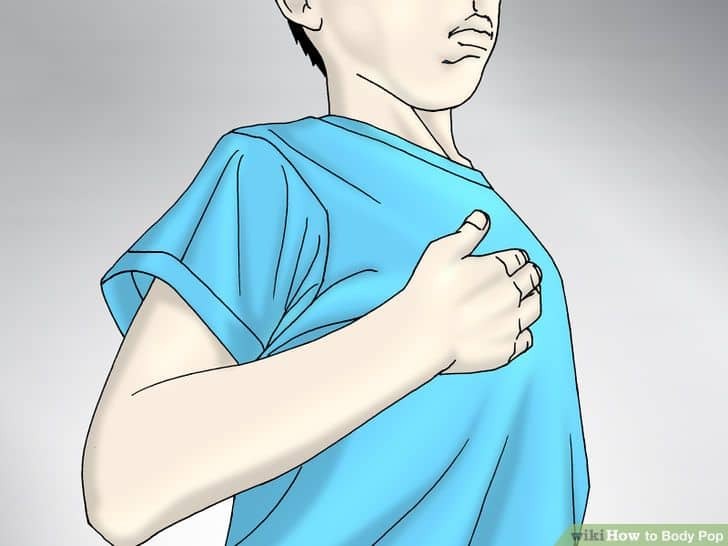 For an exaggerated movement, you can place one hand on your chest to mimic a heartbeat when you're popping. Place a flexed hand in the middle of your chest, flatten your hand as you pop your chest forward, and then flex it again as you drop back. As you transition from your elbow up in the air and back down to your arm's original position, you should raise your shoulder up while you bring the rest of your arm in toward your body. The raising motion of your shoulder is the "pop" you are looking for. When you pop your shoulder, the movement should look unexpected, almost as if it were a reflexive jerk or shiver. You can even slightly pop your other shoulder, to help the move transition to the other side of your body. You can pop your legs on their own, or add a pop to your legs while you're popping your arms, chest, or other parts of your body. To pop your legs, just practice flexing and releasing your quads. Then, move back slightly with one leg, flexing your quad as you move back, and then release the muscle in your legs once you move your leg back to its normal position. You shouldn't come forward with your leg, only backwards, and then back to the standing position. You also shouldn't bend down or get low to do this. Once you've mastered the pop on one leg, learn to pop both legs at the same time, not moving your feet but pivoting on them to the right and left as you pop your legs. The sagging pant is highly regarded as hip hop style, but you are not limited there. Brightly colored skinny jeans are coming to the forefront of the fashion scene along with leather leggings and creased shorts. Consider your pant to be the base of your outfit and build from there. If you choose the saggy pant then skip the baggy shirt. Match your pant up with a classy sweater or a simple t-shirt under a jacket. From fashion hip hop dance pants to the tighter fitting crop pant combined with a pair of heels, you’ll find that there are more choices in sweats than ever before. Combined with a crop top and a hoodie or a jersey, your hip hop look can go from flab to fab in a matter of minutes. If you are looking to go completely retro with your hip hop look, consider the Adidas track suit or the spandex pant. In a town called Fresno, California, there lived a shy boy named Sam. Inspired to create his own style of dance after seeing the original Lockers perform on TV, in 1975 Sam started putting together movements which later became known as boogaloo or boog style. Popping was another style created by Sam. People get confused about what this style is. They think it is the name for all the styles that came out of the funk movement (1970's California). It is not. 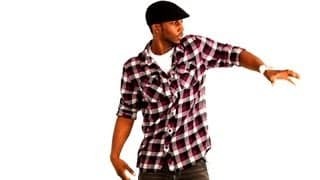 Popping is a style in itself, that involves snapping the legs back, and flexing your muscles continuously to the beat to give a jerky/snapping effect. Popping is a unique style. It's not the universal name for all the funk styles. If you pop, then you're a popper. If you wave, then you're a waver. If you Boogaloo, you're a boogalooer, and so on. 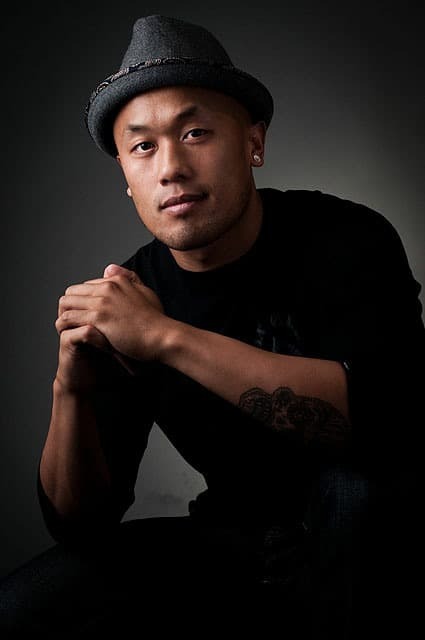 Jonathan “Bionic” Bayani, with proficiencies in funk-styles (popping / boogaloo / locking) and rocking, is best described as one of the strongest and most versatile dancers in the hip hop dance scene. After winning the world championships, Battle of the Year 1998 in Germany – along with his former bboy crew, Rockforce – Bionic gained international acclaim and is now recognized as one of the world’s fiercest competitors in popping. This has allowed him to compete, teach, judge, and perform all over the US, France, England, Japan, Korea, Germany, Switzerland, Denmark, Mexico, South Africa and even the French Caribbean. Steffan "Mr. Wiggles" Clemente is a street dancer, noted for his popping skills. 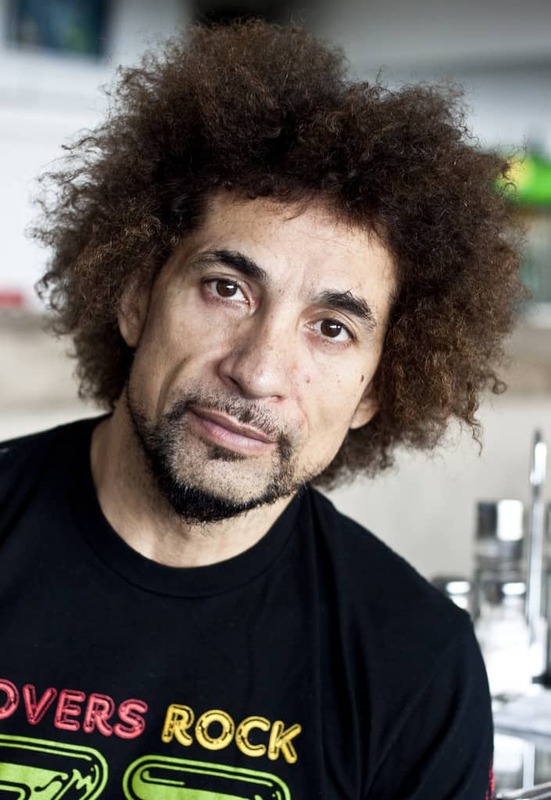 He is a member of the Rock Steady Crew, The Electric Boogaloos, Tribal Click and Zulu Nation. Wiggles has been active as a dancer, actor, choreographer, dance instructor, music producer and graffiti artist. Wiggles performs as a solo artist and with the Electric Boogaloos and Rock Steady Crew. 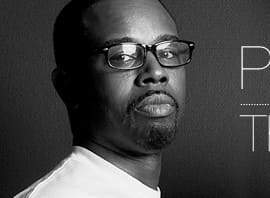 He is also committed to participating in outreach programs teaching youth about the positive aspects of hip hop culture. Recently, Wiggles along with the members of Rock Steady Crew was acclaimed at the first VH-1 Hip Hop Honors. 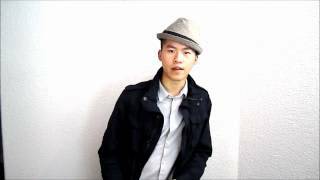 Suga Pop is a "street dance" practitioner and choreographer based in the United States. He is known for his work in "popping" and "locking", styles of dance collectively grouped under the umbrella term "funk styles". 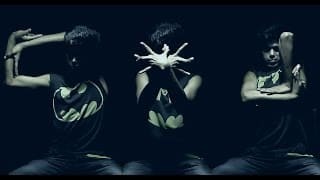 Suga Pop is recognized as a key contributor to the international street dancing scene, regularly teaching and delivering workshops on the dance forms of locking and popping around the world. He is recognized by other dance practitioners as playing a key role in teaching these West Coast forms to dancers in New York in the early 1980s, and in subsequently teaching the New York street dance form b boying or breaking in Los Angeles after returning from the East Coast. Nam Hyun-joon, often referred to as Poppin' Hyun Joon or Happy Hyun Joon, is a South Korean contemporary dancer. Nam Hyun-joon is famous for his explosive popping moves including ticking, animation, tutting, and gliding. 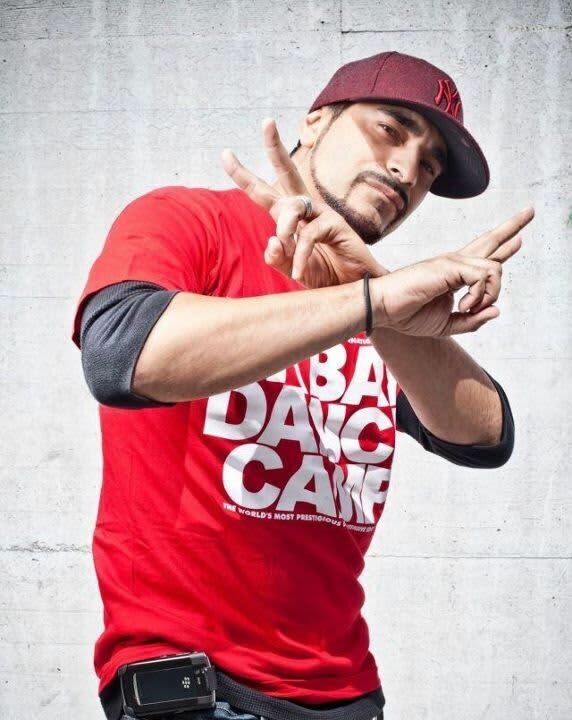 He is considered to be one of the most well-known poppin dancer in worldwide breakdance leagues. Due to his well known dancing abilities, he often trains stars and hired as a choreographer. 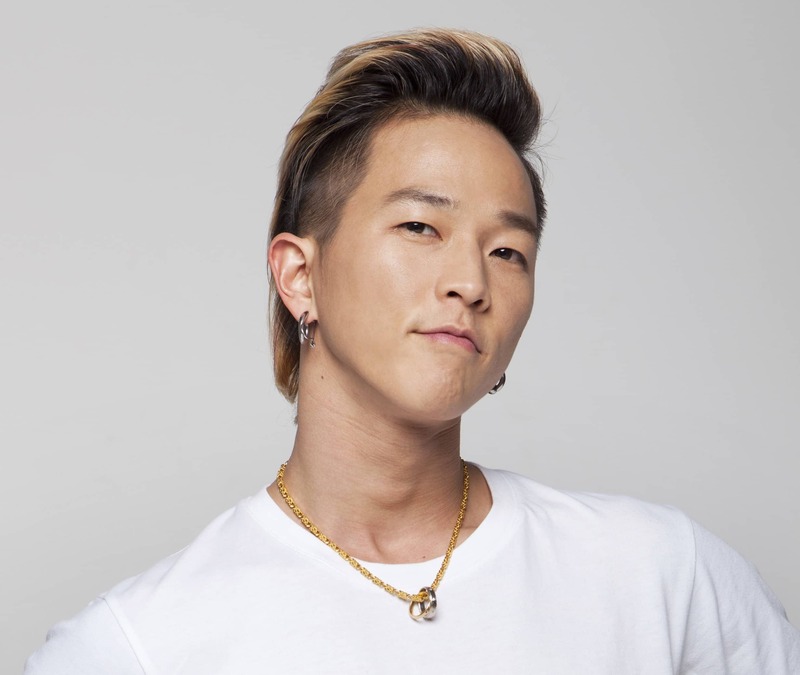 He has been in several dance groups, including Cyborg G, FREEZE, and Newest35. Popin’ Pete (born Timothy Earl Solomon, August 5, 1961) is an American dancer, choreographer, innovator, one of the originators of the "popping" dance style and member of the Electric Boogaloos. Pete’s career has spanned over thirty years since the emerging of popping dance to developing funk culture as a whole. Popin Pete has gone on to innovate styles/moves like crazy legs, ET, spider man and sleepy style. His students from the USA, Canada, UK, Europe, Brazil, Japan, China, South Korea, and Russia call him "living legend".